This formulation contains 100% pure Sea-Buckthorn Fruit oil that is sustainably-sourced, organic, unrefined and virgin in origin. This exceptional Sea-Buckthorn Fruit oil is derived from the pulp of the Sea-Buckthorn berry. 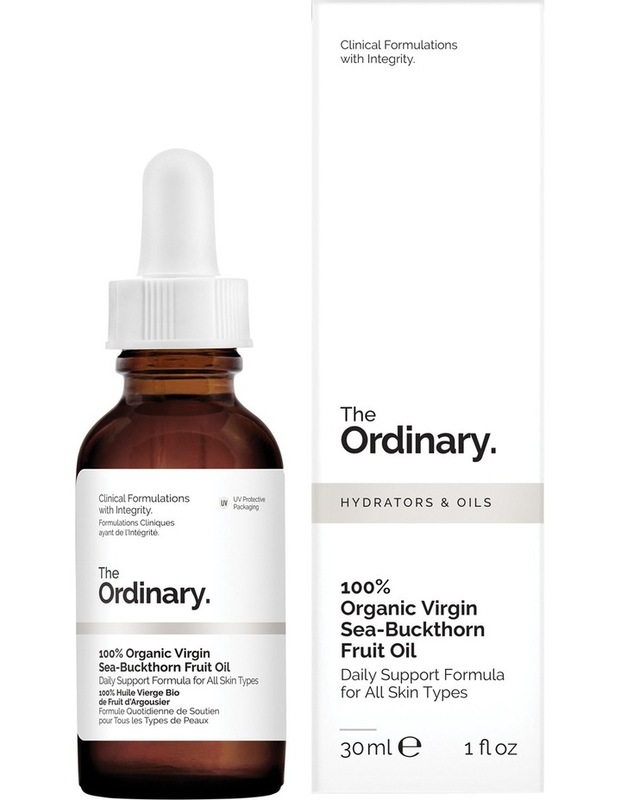 This oil contains a high concentration of rare palmitoleic acid (Omega 7) for nourishing & protecting the skin. It also offers other fatty acids like palmitic acid, stearic acid, oleic acid, linolenic acid and linoleic acid as well as antioxidants like tocopherol (Vitamin E), carotenoids and lycopene that all help to protect the skin from free radical damage and to maintain the skins normal barrier function. Our Sea-Buckthorn Fruit oil is completely unrefined and imparts a natural scent due to its high palmitoleic acid (Omega-7) content. This scent is not an indication of rancidity. Sea-Buckthorn Fruit oil that does not have scent is likely to have been highly refined and, therefore, would contain less active compounds and would likely offer impaired benefits. The formula's intense natural orange-red hue is due to its high carotenoids and lycopene content. After application, the colour of this oil will remain on your skin until it is washed off. Please use a very small amount or dilute with other products for easier application.